Get your horizontal ribbon shaped Fast Fan orders in by 12:00 CST and they'll ship the next day. Digitally printed in full color on both sides these high quality products feature a 22 pt paper board, film lamination and glued wooden stick for appearance. Printed in 4-color process, they're great for photographs. 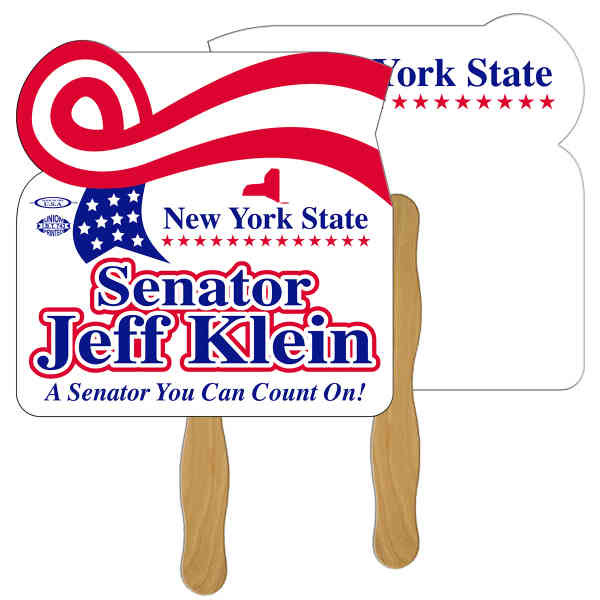 As mini billboards they're perfect for getting your custom message noticed at tradeshows, fundraisers, awareness events and more. Size: Approximate Size: 8" x 8"
Price Includes:Digitally printed in full color both sides.